Location: North Africa, bordering the Mediterranean Sea, between Algeria and Libya. Area: 163,610 sq. km. (63,378 sq. mi. ), slightly smaller than Missouri. Cities: Capital--Tunis; Sfax, Bizerte, Sousse, Nabeul. Terrain: Arable land in north and along central coast; south is mostly semiarid or desert. Climate: Hot, dry summers and mild, rainy winters. Land use: Arable land--17.05%; permanent crops--13.08%; other--69.87%. Annual population growth rate (2010): 1.2%. Birth rate--17.7 births/1,000 population. Death rate--5.7 deaths/1,000 population. Ethnic groups: Arab-Berber 98%, European 1%, other 1%. Religions: Muslim 99%, Christian less than 1%, Jewish less than 1%. Education: Years compulsory--9. Literacy (definition--aged 15 and over and can read and write, 2007 est.) --74.3%; male 83.4%; female 65.3%. Health (2009): Infant mortality rate--17.8 deaths/1,000 live births. Life expectancy--74.5 total, 72.5 years male, 76.5 years female. Work force (2010): 3.769 million. Constitution: June 1, 1959; amended July 12, 1988, June 29, 1999, June 1, 2002, May 13, 2003, and July 28, 2008. A Constituent Assembly, elected in October 2011, is in the process of drafting a new constitution. Branches: Executive--chief of state President Moncef Marzouki (since December 12, 2011); head of government, Prime Minister Hamadi Jebali (since December 14, 2011); cabinet, Council of Ministers appointed by prime minister and approved by the Constituent Assembly; prime minister appointed by the president. Legislative--Elections on October 23, 2011 yielded a 217-seat Constituent Assembly mandated to draft a new constitution and name a new interim government. The previous parliament was suspended in late January 2011 following the fall of President Zine El Abidine Ben Ali and the decision by the “Supreme Council to Achieve the Objectives of the Revolution” to disband and outlaw the ruling party, the Democratic Constitutional Rally (RCD). Judicial--District Courts, Courts of Appeal, Highest Court (Cour de Cassation). Judges of all courts are appointed by the Minister of Justice and Human Rights. Political pressure groups and leaders: Tunisian Human Rights League or LTDH (Mokhtar Trifi); Tunisian Association of Democratic Women or ATFD (Ahlem Belhaj); Tunisian Bar Association (Abderrazak Kilani); National Syndicate of Tunisian Journalists or SNJT (Jamal Kermaoui); General Union of Tunisian Workers (Abdessalem Jerad), General Union of Tunisian Students (Ezzedine Zaatour); International Association for the Support of Political Prisoners or AISPP (Samir Dilou); Association Against Torture in Tunisia or ALTT (Radia Nasraoui). 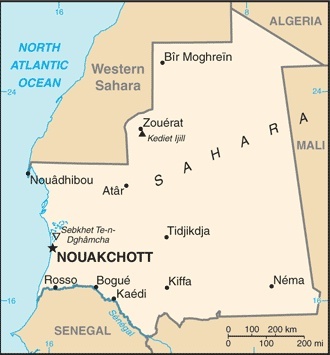 Administrative divisions: The 24 governorates are Ariana, Beja, Ben Arous, Bizerte, El Kef, Gabes, Gafsa, Jendouba, Kairouan, Kasserine, Kebili, Mahdia, Manouba, Medenine, Monastir, Nabeul, Sfax, Sidi Bou Zid, Siliana, Sousse, Tataouine, Tozeur, Tunis, Zaghouan. Real GDP (2010): TND 60.51 billion (U.S. $ 42.23 billion). Real GDP growth rate (2010): 3%. Per capita GDP, PPP (current prices, IMF 2010): U.S. $4,200. Natural resources: Natural gas, crude oil, phosphates, salt, iron ore.
Agriculture: Products--olives, olive oil, grain, tomatoes, citrus fruit, sugar beets, dates, almonds; beef, dairy products. Industry: Types--petroleum, mining (particularly phosphate), textiles, footwear, food processing, electric and mechanical components. Services: Tourism, commerce, transport, communications. Sector information as percentage of GDP (2010): Merchant services 43.4% (of which 5.5% is from tourism); industry 31.1%; agriculture and fishing 7.9%. Trade (2010): Exports--$16.416 billion: clothing, semi-finished goods and textiles, agricultural products, mechanical goods, phosphates and chemicals, hydrocarbons, electrical equipment. By region--Europe 76.35%, Africa 11.73%, Asia 5%, Americas 3.33%.By country (U.S. $)--France $4.711 billion; Italy $3.263 billion; Germany $1.387 billion; Spain $636.715 million; Libya $731.853 million; U.K. $824.338 million; Belgium $320 million; U.S. $388.3 million. Imports--$22.208 billion: textiles, machinery and equipment, hydrocarbons, chemicals, foodstuffs. By region--Europe 71.2%, Asia 14.56%, Africa 5.71%, Americas 6.94%. By country (U.S. $)--France $4.195 billion; Italy $3.877 billion; Germany $1.696 billion; Spain $1.020 billion; China $1.343 billion; Libya $283.6 million; U.S. $890.93 million. Modern Tunisians are descendents of indigenous Berbers and of people from numerous civilizations that have invaded, migrated to, and been assimilated into the population over the millennia. Recorded history in Tunisia begins with the arrival of Phoenicians, who founded Carthage and other North African settlements in the 8th century B.C. Carthage became a major sea power, clashing with Rome for control of the Mediterranean until it was defeated and captured by the Romans in 146 B.C. The Romans ruled and settled in North Africa until the 5th century, when the Roman Empire fell and Tunisia was invaded by European tribes, including the Vandals. The Muslim conquest in the 7th century transformed Tunisia and the make-up of its population, with subsequent waves of migration from around the Arab and Ottoman world, including significant numbers of Spanish Muslims and Jews at the end of the 15th century. Tunisia became a center of Arab culture and learning and was assimilated into the Turkish Ottoman Empire in the 16th century. It was a French protectorate from 1881 until independence in 1956, and retains close political, economic, and cultural ties with France. Nearly all Tunisians (99% of the population) are Muslim. There has been a Jewish population on the southern island of Djerba for 2,000 years, and there remains a small Jewish population in Tunis and other cities, which is mainly descended from those who fled Spain in the late 15th century. A small Christian community is dispersed throughout the country, and includes foreign residents, as well as a few hundred native-born citizens who have converted to Christianity. Small nomadic indigenous minorities have been mostly assimilated into the larger population. Tunisia's independence from France in 1956 ended a protectorate established in 1881. President Habib Bourguiba, who had been the leader of the independence movement, declared Tunisia a republic in 1957, ending the nominal rule of the Ottoman Beys. In June 1959, Tunisia adopted a constitution modeled on the French system, which established the basic outline of the highly centralized presidential system. The military was given a defined defensive role, which excluded participation in politics. Starting from independence, President Bourguiba placed a strong emphasis on economic and social development--especially education, the status of women, and the creation of jobs--policies that continued under the Zine El Abidine Ben Ali administration. The result was strong social progress--high literacy and school attendance rates, low population growth rates, and relatively low poverty rates--and generally steady economic growth. Over the years, President Bourguiba stood unopposed for re-election several times and was named "President for Life" in 1974 by a constitutional amendment. In 1987, Ben Ali deposed Bourguiba, promising greater democratic openness and respect for human rights. Although the ruling Socialist Destourian Party (PSD) was renamed the Democratic Constitutional Rally (RCD), it continued to dominate the political scene. The RCD won all seats in the Chamber of Deputies in 1989, and won all of the directly elected seats in the 1994, 1999, and 2004 elections. President Ben Ali ran for re-election unopposed in 1989 and 1994. In the multiparty era, he won 99.44% of the vote in 1999 and 94.49% of the vote in 2004. A May 2002 referendum approved constitutional changes proposed by Ben Ali that allowed him to run for a fifth term in 2009, which he won with 89% of the vote (and 89% participation). The referendum also created a second parliamentary chamber, the Chamber of Advisors, and provided for other changes. Lack of political freedom characterized the Tunisian landscape under the Ben Ali regime. The State Department's annual human rights report consistently cited infringements on freedoms of assembly and expression, as well as reports of torture and abuse of prisoners. The oppressive political environment, coupled with extreme economic inequality, opaque political and economic national decision-making and the government’s insensitivity to popular demands for greater economic opportunity, gave rise to a popular revolution that began on December 17, 2010 when Mohamed Bouazizi, a young Tunisian vegetable vendor from the interior of the country, self-immolated to protest the government’s confiscation of his produce. His subsequent death resulted in protests in his hometown of Sidi Bouzid, which quickly spread to other cities, including the capital. On January 14, 2011, following nearly 2 months of popular demonstrations and protests calling for his removal from office, President Ben Ali abdicated power and voluntarily entered into exile in Saudi Arabia, leaving the country in the hands of a caretaker government. Shortly after Ben Ali's departure, Speaker of the Parliament Fouad Mbazza ascended to the position of interim President of Tunisia on the basis of Article 57 of the Tunisian constitution. Upon the resignation of Prime Minister Mohamed Ghannouchi on February 27, Mbazza appointed former diplomat and cabinet official Beji Caid Essebsi to the position on February 28, 2011. Prior to former President Ben Ali’s January 2011 departure, Tunisia was a republic with a strong presidential system dominated by a single political party. The ruling RCD was essentially Tunisia’s sole legal political party for 25 years. The RCD was dissolved by judicial ruling on March 9, 2011. Under the former regime, the president was elected to 5-year terms and regional governors and local administrators were appointed by the central government. There was also a bicameral legislative body. Under the former regime, the judiciary was nominally independent and generally responded to executive direction, especially in politically sensitive cases. The Tunisian revolution ushered in nationwide calls for political reform, including popular demands for a new constitution, to be drafted by an elected Constituent Assembly. That body, comprised of 217 members, was elected on October 23, 2011 in a process that included thousands of domestic and hundreds of international observers. A new president and prime minister took office in December 2011. On December 23, 2011, the Constituent Assembly confirmed a new cabinet for Tunisia comprised of 41 ministers (29 full ministers, 15 deputy ministers.) The political party affiliation breakdown of Tunisia’s current executive branch and cabinet is roughly proportional to the percentage of seats various political parties won during the Constituent Assembly election. Length and terms of office, the authority of the legislature, and separation of powers are subject to change under the new constitution currently in draft. The military has historically played a professional, apolitical role in defending the country from external threats. Since January 2011 and at the direction of the executive branch, the military has taken on increasing responsibility for domestic security and humanitarian crisis response. The number of legalized political parties in Tunisia has grown exponentially since the Tunisian revolution. There are now over 100 legal parties, including several that existed under the former regime. During the Ben Ali era there were eight legal opposition parties--but only three, the PDP, FDTL, and Tajdid--functioned as independent opposition parties. Islamist opposition party Nahda was deemed a "terrorist organization" and outlawed by the Ben Ali government in 1991 and operated in exile in London, but quickly reasserted its position as a major political player following the party’s legalization by the post-Ben Ali government. While some older parties are well-established and can draw on previous party structures, many of the 100-plus parties extant as of February 2012 are small. While there were thousands of official, established non-governmental organizations under the former regime, civil society was weak and divided due to the same strictures that undermined Tunisian opposition political parties. Since the revolution, some organizations have reconstituted themselves and hundreds of new ones have emerged. For instance, the Tunisian Human Rights League (LTDH), the first human rights organization in Africa and the Arab world, operated under restrictions and state intrusion for over half of its existence, but is now completely free to operate. Some independent organizations, such as the Tunisian Association of Democratic Women (ATFD), the Association of Tunisian Women for Research and Development, and the Bar Association also remain active. Trade unions have played a key role in Tunisia's history since the struggle for independence, as well as during the December 2010-January 2011 unrest that led to Ben Ali’s departure. These organizations, such as the General Union of Tunisian Workers (UGTT), historically focused on bread-and-butter issues, but at some critical moments in Tunisia's history have played a decisive role in the nation's political life--including during the Tunisian revolution. However many trade unions, similar to other non-governmental organizations, were also victim to political influence under the former regime and are now in the process of reconstituting themselves to participate in the country’s new political and socio-economic debate. Following Ben Ali’s ouster, two new trade confederations, the Union of Tunisian Labor (UTT) and the General Confederation of Tunisian Labor (UCGT), emerged to challenge the status quo. Tunisia remains a model in the Arab world in promoting the legal and social status of women. A Personal Status Code was adopted shortly after independence in 1956, which, among other things, gave women full legal status (allowing them to run and own businesses, have bank accounts, and seek passports under their own authority). It also, for the first time in the Arab world, outlawed polygamy. The government required parents to send girls to school, and today more than 50% of university students are women and 66% of judges and lawyers are women. Rights of women and children were further enhanced by 1993 reforms, which included a provision to allow Tunisian women to transmit citizenship even if they are married to a foreigner and living abroad. The government has supported a remarkably successful family planning program that has reduced the population growth rate to just over 1% per annum, contributing to Tunisia's economic and social stability. Tunisia's embassy in the United States is located at 1515 Massachusetts Avenue NW, Washington, DC 20005 (tel. 1-202-862-1850, fax 1-202-862-1858). Tunisia's economy has emerged from rigid state control and is now partially liberalized. Beginning in the mid-1980s, Tunisia's prudent economic policies, coupled with World Bank and International Monetary Fund (IMF) support, favorable climatic conditions for agricultural production, and a strong tourism sector, resulted in stable growth with healthy exports. Economically and commercially, Tunisia is very closely linked to Europe. Tunisia signed an Association Agreement with the European Union (EU), which went into effect on January 1, 2008. The agreement eliminates customs tariffs and other trade barriers on manufactured goods, and provides for the establishment of an EU-Tunisia free trade area in goods--but not in agriculture or services; trade negotiations in these areas are ongoing. Manufacturing industries, producing largely for export, are a major source of foreign currency revenue. Industrial production represents about 31.1% of GDP. It primarily consists of petroleum, mining (particularly phosphates), textiles, footwear, food processing, and electrical and mechanical manufactures. Textiles are a major source of foreign currency revenue, with more than 90% of production being exported. The Government of Tunisia, working with the European Commission and other partners, has implemented several programs to upgrade the capacity of key industrial sectors to remain competitive while the country gradually opens to trade with Europe and other regions. Tourism income is a major source of foreign exchange as well as an important sector for employment. While the influx of tourists represents a boon to the economy, Tunisia's large diaspora (about 1 million) also makes a positive and significant contribution. In 2010, remittances from abroad reached 2.334 billion dinars (approximately $1.629 billion), roughly 3.68% of Tunisia’s GDP. The country is a net importer of hydrocarbon products. Domestic crude production is 91,380 barrels per day, but refining capacity is only 34,000 barrels a day. Proven reserves are approximately 400 million barrels. Tunisia has one oil refinery on the north coast in Bizerte and in May 2006 awarded a tender to Qatar Petroleum for a second at La Skhira, near Gabes. Natural gas production is currently approximately equivalent to 3 million tons of oil per annum. Proven reserves are about 65.13 billion cubic feet, two-thirds of which are located offshore. The United States and Tunisia signed a Trade and Investment Framework Agreement (TIFA) in October 2002 and follow-up TIFA Council meetings were held in October 2003, June 2005, and March 2008. In 2004, Tunisia signed the Agadir Agreement, a framework agreement for a multilateral trade treaty with Egypt, Jordan, and Morocco. The Agadir Agreement creates a potential market of over 100 million people across North Africa and into the Middle East. The government still retains control over certain "strategic" sectors of the economy (finance, hydrocarbons, aviation, electricity and gas distribution, and water resources) but the private sector is playing an increasingly important role. Tunisia is a founding member of the World Trade Organization (WTO) and is publicly committed to a free trade regime and export-led growth. In August 2010, the Government of Tunisia passed a law opening the Tunisian economy to foreign franchises in the sectors of retail/distribution, tourism, automotives, and training. Tunisia must approve franchising in other sectors, such as food service and real estate, on a case-by-case basis. The Government of Tunisia is beginning to take a more proactive stance on intellectual property rights (IPR) enforcement and education. Tunisia's recent intellectual property rights law is designed to meet WTO TRIPS (Trade-Related Aspects of Intellectual Property) minimum standards and there is ongoing collaboration between the United States and Tunisian governments to promote public awareness of these rights. Tunisia has a relatively well-developed infrastructure that includes six commercial seaports and seven international airports. Average annual income per capita in Tunisia is $4,200. On May 1, 2011, the minimum monthly legal wage for a 48-hour week was raised to TND 286 ($207.064) and for 40 hours to TND 246.306 ($178.325). While Tunisia’s growth rate has averaged 5% over the past decade, its development goals require an average 6%-7% growth rate. In 2010, real GDP growth was 3% and inflation was 4.4%. Growth was expected to reach barely 1.0% in 2011, fallout from the drop in tourism following the revolution, a decline in remittances from the 30,000 Tunisians employed in Libya before conflict erupted there, and domestic expenses related to rebuilding Tunisia post-revolution and supporting the tens of thousands of evacuees and refugees who fled Libya. According to official figures, Tunisia has 19% unemployment, but it is generally believed to be much higher in some regions. Despite the present low rate of population growth, a demographic peak is now hitting higher education and the job market. Tunisia has invested heavily in education, and the number of students enrolled at university soared from 41,000 in 1986 to over 346,079 in 2010. Providing jobs for these highly educated people represents a major challenge for the Government of Tunisia. The current government of Tunisia has continued the country’s long-time policy of seeking good relations with the West, including the United States. Located between Algeria and Libya, Tunisia has sought to maintain good relations with its neighbors despite occasionally strained relations. Tunisia and Algeria resolved a longstanding border dispute in 1993 and have cooperated in the construction of a natural gas pipeline through Tunisia that connects Algeria to Italy. In 2002, Tunisia signed an agreement with Algeria to demarcate the maritime frontier between the two countries. Tunisia recognized Libya's Transitional National Council as the legitimate representative of the Libyan people in August 2011, shortly before Mu'ammar Qadhafi's forces ceded Tripoli. Tunisia's relations with Libya had been erratic since Tunisia annulled an agreement to form a union in 1974. Diplomatic relations were broken in 1976, restored in 1977, and deteriorated again in 1980, when Libyan-trained rebels attempted to seize the town of Gafsa. In 1982, the International Court of Justice ruled in Libya's favor in the partition of the oil-rich continental shelf it shares with Tunisia. Libya's 1985 expulsion of Tunisian workers and military threats led Tunisia to sever relations. Relations were normalized again in 1987. While supporting UN sanctions imposed following Libyan-sponsored terrorist airline bombings, Tunisia was careful to maintain positive relations with its neighbor. Tunisia supported the lifting of UN sanctions against Libya in 2003 and Libya again became a major trading partner, with 2009 exports to Libya valued at $830.8 million and imports at $559 million. Tunisia accepted over 100,000 Libyans fleeing violence stemming from the civil conflict that took place for much of 2011. Except for a small percentage currently living in camps, the vast majority of Libyans who sought temporary asylum in Tunisia lived in the homes of private Tunisian citizens or on the Tunisian economy, and were permitted to draw on Tunisian public resources (e.g., health care and public education). Tunisia has also been forward-leaning in its support for the Syrian National Council, hosting the inaugural Friends of Syria meeting in February 2012. Tunisia has recently reiterated its support for the Maghreb Union (formerly the Arab Maghreb Union - UMA), which also includes Algeria, Morocco, Mauritania, and Libya. Progress on Maghreb integration remains stymied, however, as a result of bilateral tensions between some member countries. Tunisia has tried to play a positive role in resolving these tensions. Tunisia has also long been a voice for moderation and realism in the Middle East. President Bourguiba was the first Arab leader to call for the recognition of Israel in a speech in Jericho in 1965. Tunisia served as the headquarters of the Arab League from 1979 to 1990 and hosted the Palestine Liberation Organization's (PLO) headquarters from 1982 to 1993. (The PLO Political Department remains in Tunis.) Tunisia has consistently played a moderating role in the Middle East peace negotiations. In 1993, Tunisia was the first Arab country to host an official Israeli delegation as part of the Middle East peace process. The Government of Tunisia operated an Interests Section in Israel from April 1996 until the outbreak of the second Intifada in 2000.